In charge of organising the office Christmas Party? Run out of time? Don’t panic, we’ve got you covered with our helpful last minute party planning tips. From chunky chocolatey churros to wildly aromatic g&ts, we’ve also made some suggestions for terrific street food traders so your colleagues can dance the night away with delicious dishes and drinks in hand. The best way to start the planning process is to put together all the essential information... Think about how many people will be attending the party? Are plus-ones and spouses invited? Will you be inviting any of your clients? And the most crucial question of all, how big is your budget? 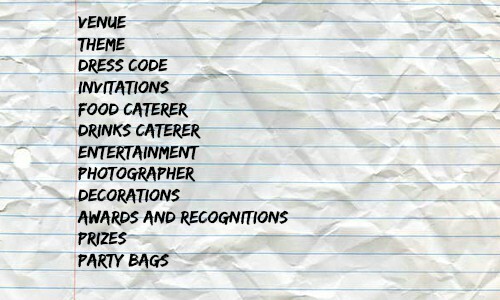 Once you’ve thought about invitations, decorations and everything in between, it’s time to turn your mind to catering, where our expertise really lies. We have put together a selection of food and drinks traders that are perfect for corporate events - fantastic food and professional service with fun and funky brands! As you’re organising last minute, these specific traders might not be available, but there’s plenty more to browse on our website, or you can give us a call and we’ll do what we can to help. A total crowd pleaser, Big Apple Hot Dogs serve up the most succulent sausages using the highest quality free-range meat and soft fluffy buns from a family-run bakery. 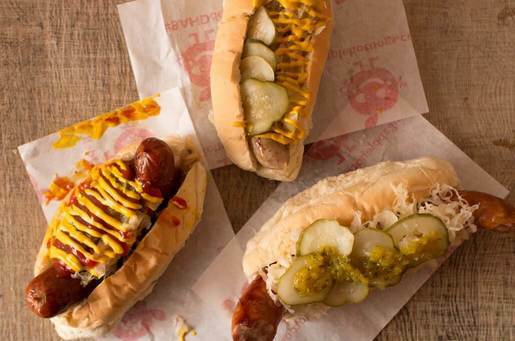 With a list of celebrity clients, you can be assured that these are some seriously scrumptious hot dogs and their quirky menu speaks for itself. With a halloumi dog option for veggies and halal beef sausages too, there’s something for everyone. Every hot dog is packed with herbs and spices and there are plenty of toppings to choose from, including buttery fried onions, relishes, sauces and pickles. 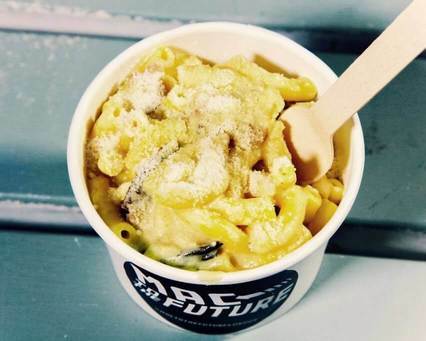 Transport yourself to another world with Mac To The Future and their spectacularly inventive macaroni and cheese recipes, and fun sci-fi branding - a great choice for tech companies! Made fresh to order at your event, this is the perfect comfort dish to warm your guests on a cold December night. From marmite to mushrooms and truffle oil, their menu is mouthwatering and their sides are equally tempting. Their macaroni and cheese balls, toasties and deep-fried potatoes are guaranteed to go down a treat. Does your office go mad for chocolate, biscuits and baking? Does a milk tray frequently get passed around? If so, look no further than Bad Brownie and their outrageously moorish squares of heaven. Debaucherous and delicious, they are fantastic for corporate events and are brilliantly displayed on black slate. Enjoy triple chocolate brownies drizzled with melted white, dark and milk chocolate, and salted caramel treats with a crisp golden top and sticky centre. 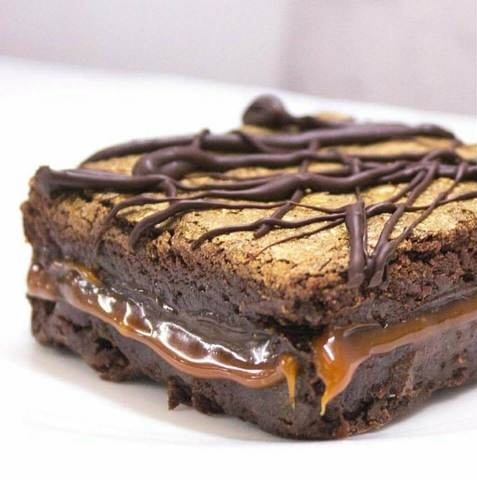 Bad Brownie also bake North American favourites with crunchy peanut butter, and maple and bacon offerings. How can something be so crispy yet so soft at the same time? Easy to eat, fantastically festive and of course, really yummy, Love Churros are a great choice for your office Christmas party. With years of experience selling their goods at the famous Winter Wonderland in London, Love Churros are proud of their exceptionally high standard. Inside their delightful horsebox, the churros are freshly made using a secret recipe, then coated with cinnamon or powdered sugar and served with a little pot of warm melted Belgian chocolate for dipping. 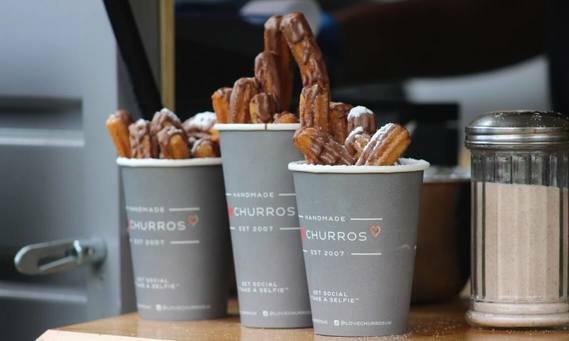 Churros are ultimately a really social choice and will put a smile on everyone’s face. If you are looking for high quality gins from a fragrant and inventive menu, Jim & Tonic are the number one guys. They know everything there is to know about gin, and for that matter, tonic too. 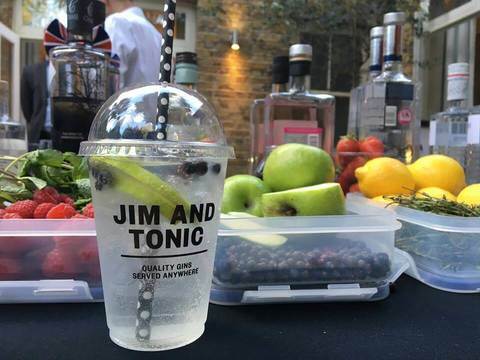 Their statement van looks fantastic at corporate events, and their g&ts and gin fizzes are served in iced-coffee-to-go-style cups with quirky straws and oodles of colour from fruit, berries and herbs. Our favourite is the Ruby, made using Slingsby Rhubarb Gin, Fever Tree Elderflower Tonic, and fresh raspberries and basil leaves. Treat your colleagues to a little festive fizz with prosecco from Bubble Bros. 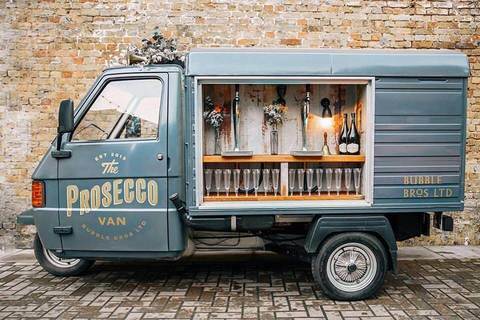 The drinks are served from a gorgeous grey three-wheeler - The Prosecco Van - which opens up from the side to reveal prosecco taps, bottles, flowers, and glasses neatly lined up in front of a rustic wooden background. Bubble Bros are the ultimate chic and sophisticated drinks supplier for corporate events and there’s nothing more Christmassy than a bottle of bub. They can also serve their drinks from their retro motorbike and sidecar - the Bubble Bike. We hope this has been helpful and inspired you to get down to business and start organising the office Christmas party of the century! If you have any more questions about how it all works, or would like to enquire about or book a caterer please do so here.